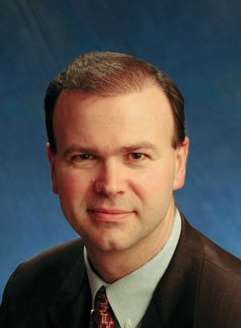 Roger Wood, 48, group president and head of BorgWarner's engine group, will become CEO of Dana on April 18. Roger J. Wood, head of BorgWarner's engine group, was named CEO and president of Dana Holding Corp. Wednesday. He will become the seventh CEO at Dana over the last four years. Wood, 48, has been an executive vice president, and group president and general manager of BorgWarner's engine group. He succeeds John Devine, Dana's executive chairman, who has been serving as interim CEO and will retire on June 30, the supplier announced Wednesday. Keith Wandell, Dana's lead independent director, will become non-executive chairman of the board. Wood will also become a member of Dana's board. Devine, former chief financial officer of Ford Motor Co. and General Motors, joined Dana in 2008 when the company emerged from U.S. Chapter 11 bankruptcy. He has served as CEO of the drivetrain parts supplier three times, most recently after the resignation in November of James Sweetnam, who had led the company since July 2009. When Dana exited bankruptcy in February 2008, Devine became acting CEO, taking over from Mike Burns, who served four years. Gary Convis, a former Toyota Motor Corp. manufacturing executive, took over as CEO in April 2008. He became vice chairman in November, while Devine again became CEO. Wood has held a variety of management posts in manufacturing, strategy and international operations since he joined BorgWarner in 1985. He holds a bachelor's degree in engineering technology from State University College at Buffalo, New York; and earned a Master of Business Administration degree from Syracuse University. Dana ranks No. 26 on the Automotive News Europe list of the top 100 global suppliers, with sales to automakers of $5.23 billion in 2009. More than 20 percent of those sales were in Europe. BorgWarner ranks No. 36 with 2009 sales of $3.96 billion, of which 56 percent came from Europe.